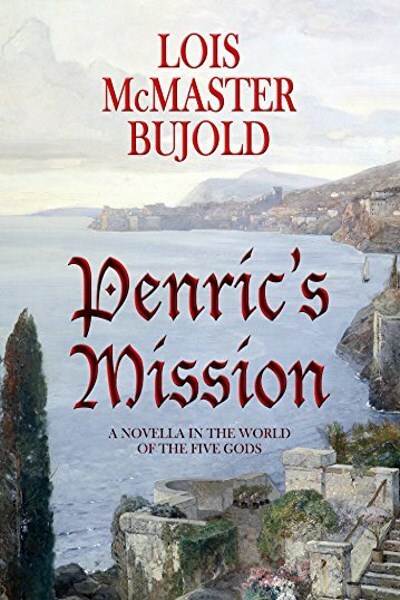 Penric’s Mission by Lois McMaster Bujold takes the Penric and Desdemona series of novellas to a new level in terms of story complexity, character development, and reader engagement. Where the previous three installments were serviceable enough stories, fun to read, and moved things along in terms of Penric’s progression as a sorcerer, Penric’s Mission allows the character to grow in entirely new ways. Not only does he display a level of confidence I’ve not seen before with his sorcery, but he also builds up enough courage to engage in a bit of romance despite a certain over-protective brother working against him. I received Penric’s Mission via NetGalley in exchange for a fair review. Bujold did not write the Penric and Desdemona stories in chronological order, though I’ve been reading them as such, ignoring the order in which they were published. Based on information I found on the Chalion Wiki, Penric’s Mission is the fourth novella in the series. In Penric’s Mission, the titular character finds himself in a far and distant land, working undercover to enlist the aid of a disaffected general. All seems to be going well until Penric is betrayed, thrown into a dungeon, and then sentenced to death. Penric has come a long way since he first met Desdemona, the demon who shares his body in a sort of symbiotic relationship, so he handles this change of fortune with tact and intelligence. Once free, he has the option to flee for his life. Instead, Penric stays on point, putting the mission ahead of his own well-being. It doesn’t hurt one bit that Penric finds himself attracted to the general’s sister. What started as a straightforward mission to secure the aid of a military genius becomes a fight for survival as Penric must face off against his betrayer and the sorcerer who serves him. Penric’s Mission is a great addition to the Penric and Desdemona series and the first novella to earn a four rocket rating from me. 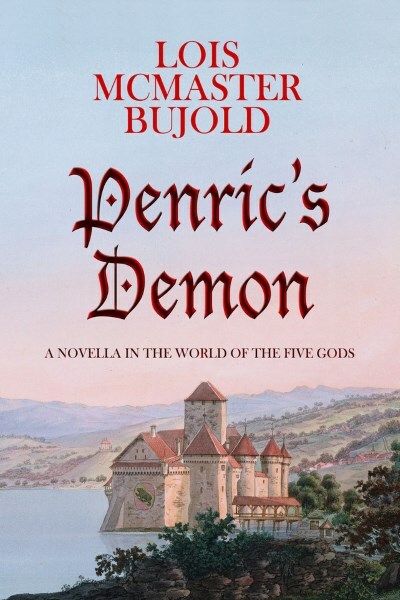 Bujold’s writing style is as captivating as always, but what really sets this book apart from its predecessors is Penric himself, who has matured in terms of both his sorcery and his personality. He still relies on Desdemona’s greater experience and wisdom, but he often shows initiative all on his own now. It’s a refreshing change to his character, one that allows him to grow much more within the span of this one book then I’ve seen previously. Needless to say, I liked Penric’s Mission and I already have plans to pick up the next book in the series. 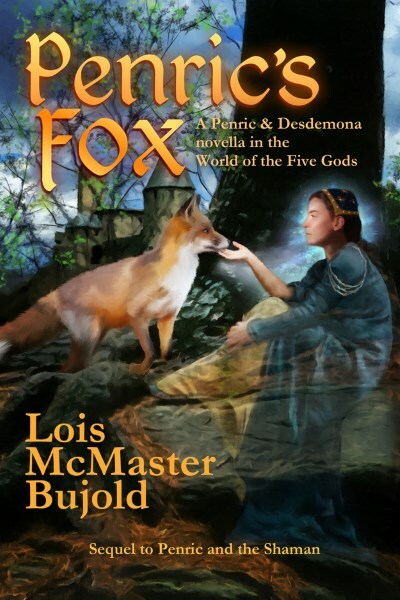 Penric’s Fox by Lois McMaster Bujold, the third installment in the Penric and Desdemona series, picks up some months after events in Penric and the Shaman. Once more, Penric is called upon to solve a murder mystery and, once more, he finds himself in a partnership with Locator Oswyl. Not to give anything away, but he also enlists the aid of Shaman Inglis, who was the titular shaman introduced in Penric and the Shaman. A quick word about the ordering of the books in this series since there are multiple lists out there and it isn’t clear from just looking at the titles. On one hand, there is the publication order, but this isn’t the same as the chronological order. To further confuse things, the Penric and Desdemona series fits within the greater World of the Five Gods series, which also includes The Curse of Chalion, Paladin of Souls, and The Hallowed Hunt, none of which feature Penric or Desdemona. For my reading and reviewing purposes, I’m reading the books in the order shown on the Chalion Wiki. Like the other books in the series, Penric’s Fox is somewhat short; the Kindle edition comes in at 113 pages. I’d therefore classify this as a novella more than a novel similar to the previous two installments. Its brevity makes for a fairly quick read that you might be able to fit into one long sitting or several moderate ones. Regardless, I think you’ll find Bujold’s writing style easily readable and the characters interesting and enjoyable. Bujold has a knack for creating believable yet not overly complex characters that you can relate to on many different levels because they are in many respects as normal as you or I. Once more I’m giving three rockets to a book in this series. It’s become a common theme. The books are good reads, but they’re not spectacular. However, three rockets means I recommend each without reservation. It’s just that they aren’t going to blow your socks off or make you say, “Wow.” But, if you’re looking for novella length books that span a series that contains at least five other stories then I don’t think you can go wrong with Penric’s Fox and the others in the Penric and Desdemona series. 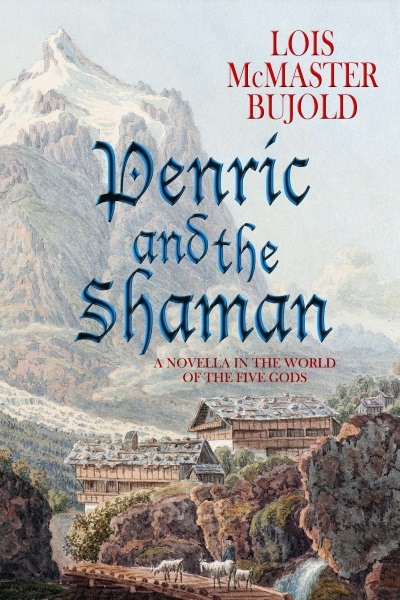 Penric and the Shaman by Lois McMaster Bujold is the second novella in the Penric and Desdemona series featuring the symbiotic pair of the same name. In Bujold’s world, demons are ethereal creatures, unable to remain stable in our world without a host to serve as a sort of anchor. Penric and Desdemona found themselves joined together after circumstances brought them together in the first book in the series, Penric’s Demon, which I reviewed not too long ago. At the end of the first book, Penric found himself enrolled in sorcerer’s school. This second book skips over all of that, taking place some four years later. This is actually good since, let’s face it, apprentices learning to become full-fledged sorcerers has been done a few times already. In the service of a princess, Penric, now a sorcerer—albeit a young one whose stature was gotten more from Desdemona’s vast experience more so than his own—is asked to accompany a Locator, a person who can detect the presence of magic. Together the two are charged with hunting down a renegade shaman wanted for murder. It’s a fairly interesting plot to which we’re introduced via Bujold’s always inviting style of writing. Bujold doesn’t waste a lot of time with exposition or flowery wording; you’re going to get lots of good storytelling and a plot that moves along at a steady pace. 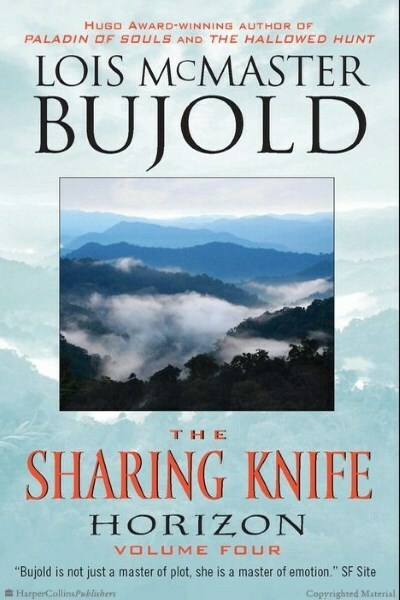 I’ll admit to some favoritism; Bujold’s Sharing Knife series remains one of my all-time favorite fantasy series. But, back to Penric and the Shaman, as one might expect, things are not as simple as tracking down a shaman wanted for murder. Penric will have plenty of opportunities to test his sorcery while attempting to find a balance between justice and levity. I’m giving Penric and the Shaman three rockets because it’s a solid story with a few twists, but doesn’t go as deep as I would have liked due to its relatively short length (about 160 pages). Still, it’s a good addition to the series and I’ve already started reading the next book in the series, Penric’s Fox.